The outlines for a grand bargain between US President Donald Trump and North Korean leader Kim Jong-un are broadly in place. 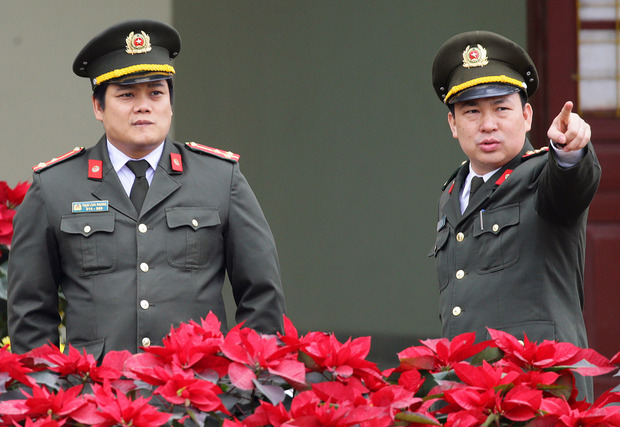 The question in Hanoi, Vietnam, this week is whether the two men can close the deal. Last June's Singapore summit was criticised by many experts because Mr Trump failed to secure any concrete pledges from Mr Kim to surrender his nuclear weapons, apart from vaguely worded commitment to "work toward complete denuclearisation of the Korean Peninsula". South Korean President Moon Jae-in, the strongest advocate of the engagement process, argued last month it was time to move from abstract talk to concrete action when Mr Trump meets Mr Kim again. But yesterday, he praised them for travelling "a path no one has taken before". "President Trump is personally spearheading diplomacy toward North Korea with his bold determination and new diplomatic strategies in order not to repeat past failures," he said in a statement. "If the upcoming summit produces results, now is the real beginning." Speaking to CNN, US Secretary of State Mike Pompeo expressed hope that the two leaders would take steps to realise what Mr Kim had promised in the last summit. "He promised he'd denuclearise. We hope he'll make a big step toward that in the week ahead," he said. His comments echoed those of a senior administration official briefing reporters last week that the United States wants to "move forward with a number of initiatives that could specifically advance each of the four pillars of the Singapore joint statement". Officials, diplomats and experts say it's not hard to imagine what those initiatives might be. The opening of liaison offices in each other's capitals would be a step toward transforming relations between the two countries; a declaration that the 1950-53 Korean War is over would be a move toward a permanent peace regime on the Korean Peninsula; while it shouldn't be too hard to make progress on the search for the remains of US servicemen killed in the Korean War. But it is the third pillar, denuclearisation, where the tough talk has to happen in Hanoi, and where Mr Kim needs to prove he means business. "There are many things he could do to demonstrate his commitment to denuclearisation," Mr Pompeo said on Sunday. "I don't want to get into the details of what's being proposed, what the offers and counter offers may be, but a real step, a demonstratable, verifiable step, is something that I know President Trump is very focused on achieving." In Seoul, lawmakers and officials have their eyes on the Yongbyon Nuclear Centre, which is home to North Korea's three nuclear reactors. It is North Korea's only source of plutonium, and also one - but not the only - source of highly enriched uranium used for making nuclear weapons. Closing it down permanently, in the presence of expert inspectors, would slow down North Korea's ability to produce more nuclear weapons, although it would leave its current nuclear and missile arsenal intact. In return, North Korea would almost certainly demand sanctions relief. Mr Pompeo said "core economic sanctions" imposed by the UN Security Council have to remain in place until the country completely denuclearises, but that other steps are possible. "There are other things we could do - exchanges of people, lots of other ways that North Korea is sanctioned today that if we get a substantial step and move forward we could certainly provide an outlet which would demonstrate our commitment to the process as well," Mr Pompeo said. The United States has imposed a range of unilateral sanctions on North Korea over a range of issues including its nuclear and missile programme, money laundering, support for terrorism and human rights abuses. Suspending some of those sanctions would require the president to certify to Congress that progress has been made in these areas, while others could be unwound by executive order, experts say.